A plethora of energy management opportunities has emerged for electricity consumers and producers by way of the transition from the current grid infrastructure to a smart grid. 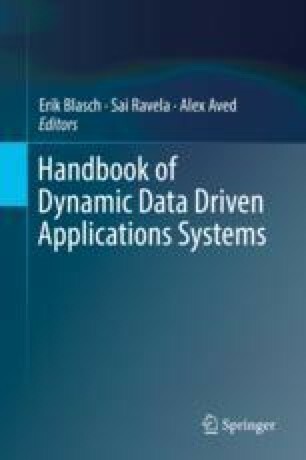 The aim of this chapter is to present a new dynamic data-driven applications systems (DDDAS) methodology for partitioning the smart distribution grid based on dynamically varying data. In particular, the proposed methodology uses the k-means algorithm for performing partitioning and a fuzzy decision making method for increasing power efficiency and reliability. The network is divided into a set of “similar” subnetworks; where the subnetworks are comprised of residential customers (i.e., residencies) who share the same characteristics pertaining to the energy needs but not necessarily the same geographic vicinity or belong to the same grid node. A fuzzy logic method is used to make decisions on which partitions could be offered energy at lower prices available from Renewable Energy Sources (RES). Various scenarios based on the GridLAB-D simulation platform exhibits how the operation of the smart grid is affected from the partition of the distribution grid. The illustrative example utilizes the IEEE-13, IEEE-37 and IEEE-123 bus test feeders in the experiments from a distribution grid composing 3004 residencies and both conventional and distributed generators. This work is supported by the US National Science Foundation (NSF) in collaboration with the Air Force Office of Scientific Research (AFOSR) under the grant no 1462393.